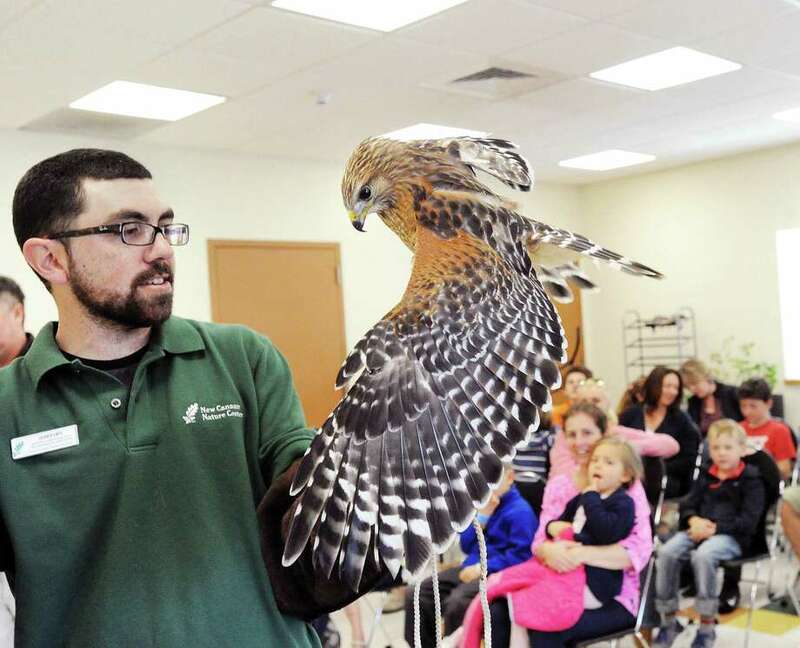 Greenwich residents got a lesson in co-existing with wild animals thanks to the New Canaan Nature Center. Wildlife educator Derick Hips, of the New Canaan Nature Center, taught a wildlife class April 15 at the Greenwich Animal Control office. Hips said the purpose of the class was to educate people about local wildlife so humans and wild animals could better co-exist. Greenwich Animal Control officer Suzanne Carlin explained how colorful pinwheels can be used for wildlife deterrence and Hips brought along some animals for the participants to meet. The wildlife education class included visits from a wood turtle, a red-shoulder hawk and an eastern kingsnake.